There are always great Christmas tree ornaments built each year. This batch by LEGO 7 are some of the first we've seen for this season. The designs showcased below have a very playful design to them, almost as if they were specifically designed as children's ornaments (which they absolutely could have been). That's face it, there were always "those ornaments" that we couldn't hang on the tree as kids because they were more fragile, right? 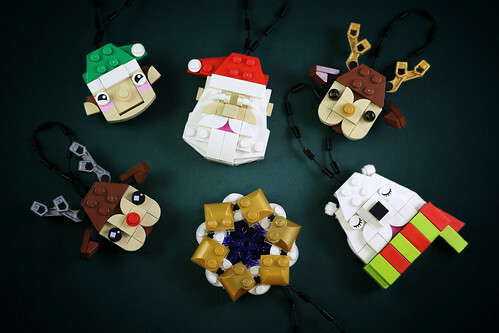 Well, now it's time for you to build your own ornaments that nobody else is allowed to hang proudly on the Christmas tree! If these don't inspire you to start designing some of your own, I don't know what will!